Music from 2:30 to 4:30, rain or shine, no cover. Cider and light picnic fare available for purchase. Bryan Elijah Smith will be performing from 2 – 5PM. Tasting fee is $8.00 per person, bottle and glass prices vary. We’re celebrating our 7th anniversary by introducing Narmada’s first ever CABERNET SAUVIGNON! This wine is loaded with intense black fruit flavor set off by notes of cedar and spice; it has great grip and is very substantial. Narmada Cabernet Sauvignon pairs well with hearty winter dishes such as pan-roasted venison, wild mushroom risotto and more. Narmada Cabernet Sauvignon has already been awarded a Gold Medal/91 Points from Tastings, as well as a Silver Medal in the Indy International Wine Competition. This wine makes its debut to the general public at our Anniversary Celebration and is available this weekend only! After that, our Cabernet Sauvignon will be reserved for Narmada Maharaja Wine Club members exclusively. Live music by Martha Capone from 2-5pm on Saturday and Jason Frye 2-5pm on Sunday. We’re having an ongoing raffle with winners every hour! Open 11-5pm. Wildflower plays Acoustic folk and traditional country and jazz! Mill Race Bramble is back! Come try the 2016 vintage of Mill Race Bramble, Virginia’s original berry-infused cider! First released during Cider Week Virginia 2013, this vibrant cider features Summer Rambo cider infused with raspberries and blackberries from Agriberry CSA and Farm. Camden’s Dogtown Market will serve up fresh barbecue and more, with music by Fool’s Errand (3-6pm). 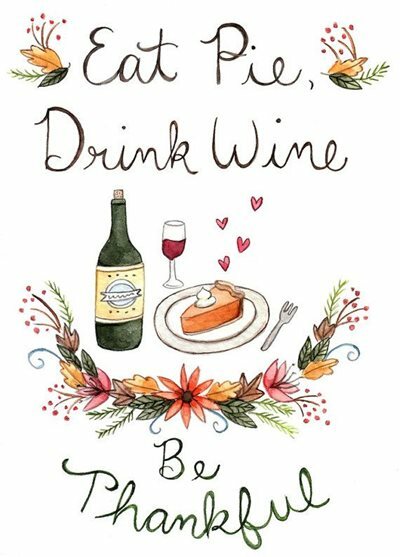 Start your holiday season with Gray Ghost Vineyards! Enjoy one-day only gift specials and live music by Valerie Von Fange: 2:30 to 4:30 pm. This is the perfect event to entertain guests! The cork Christmas display makes its annual debut. Prolong your holiday indulgences with a drive to Foggy Ridge Cider’s late fall orchards. Enjoy seasonal homemade soup paired with the beverage of the season. Gift baskets, boxes and bags all available for your most discerning family and friends—start your holiday celebration at Foggy Ridge. $10 covers a sample from Cast Iron Catering and cider tasting from 1-4 p.m.
Join us on for a festive afternoon out with your friends drinking delicious wine & painting your very own Holiday wine glasses! Make a reservation to attend our Holiday Wine Glass Painting seminar with instruction by local artist, Roxan Waluk. This festive afternoon includes one glass of delicious Miracle Valley Vineyard wine to enjoy as Roxan teaches you how to a paint two wine glasses to take home to enjoy this Holiday season. This seminar is priced at only $25 per person. Want to paint an additional two glasses to make a set? If so, two more glasses can be included for you for an additional $15. Reservations & payment by credit card are required for this special session. Please call 540-364-0228 at your earliest convenience to make a reservation as space is limited.